It's Christmas time again. Catch a glimpse of pretty decorations, sparkling lights on the streets and small to huge brilliant Christmas trees. Time to list down all the names to gift giving. Thinking twice what to cook on holidays. All are busy shopping and sale are offered everywhere. Kids are excited for the gifts that they will be receiving and just like them, I am also wishing not only for myself but along with my family. I am a mother of two beautiful kids. I want them to experience a good life. I want them to see at their young age that we are doing our best to give them the life that every parent hope for. Our priority now is to have our own house. Our own that we can call home. When that day comes, all the things that we need, some things we would like to have, we'll then work out to be accomplished. The creative designs, the awesome wallpaper, the elegant furniture and especially the branded appliances will be on top of my choices. One of the brands of appliances that I wish to have is De’Longhi. 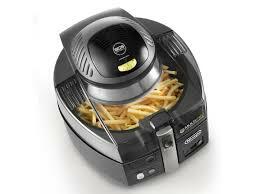 It is an Italian small appliance manufacturer based in Treviso, Italy. A major producer of portable heaters and air conditioners and expanded to make a small domestic appliance in the food preparation and cooking, as well as household cleaning and ironing, segments. The CONCEPT SPECIALIST INC. (CSI) markets and distributes global brands such as De’Longhi. 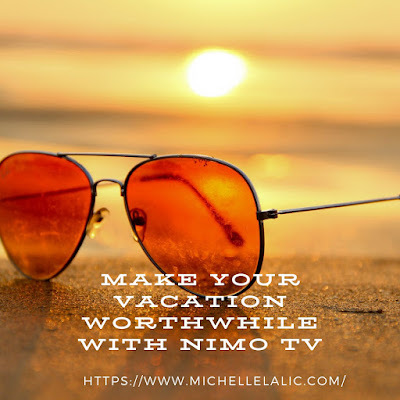 They opened the business in 1998 and started with a vision to provide convenient products to the F&B Industry while maintaining consistent high product quality. 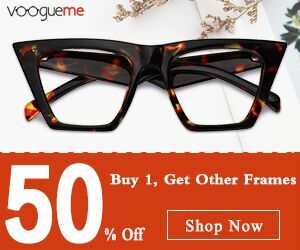 High product quality.. Wow! I want one, of course. 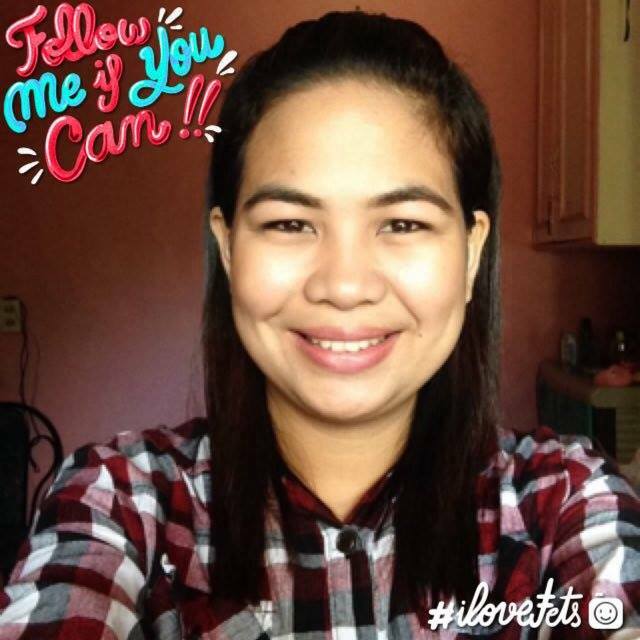 To be able to complete my journey of motherhood, I need to feed them the best food that I can offer with the help of my kitchen. 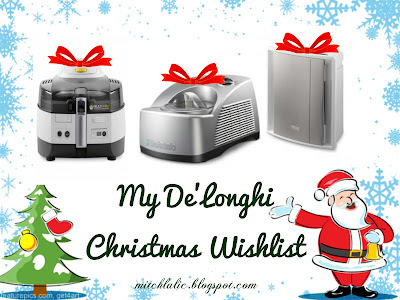 I am, with all my heart, would like to share to you the products of De'Longhi I am dreaming of casting on my kitchen. 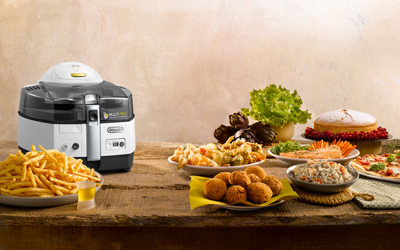 A low oil fryer and multicooker equipped with the SHS double (double independent heating elements), automatic mixing process, maximum food capacity 1.7 kg of fresh potatoes to peel. I love this Multifry simply because I can cook different recipes such as pizza, cake, risotto, stew, fish, meat and much more. It has complete transparent lid to monitor cooking process. Removable timer. Has cool touch walls no need to worry of getting burn . Easy to clean: lid, paddle and bowl are removable. This is perfect for mom like me who loves to cook and discover food in my own way, in a healthy manner because it allows you to cook in less oil. EXCELLENT COOKING PERFORMANCE - Food is crispy outside and tasty and juicy inside. RAPID COOKING- Time saving: only 27 min for 1 kg of frozen potatoes. MORE RECIPES - not just frying but you can also do baking. HIGH FOOD CAPACITY - 1.7 Kg of fresh potatoes to peel and 1,5 Kg of frozen potatoes without adding oil. LOWER HEATING ELEMENT - can never exceed a certain temperature in any point and requires no overheat. ADJUSTABLE THERMOSTAT - To set the right power for each recipes. 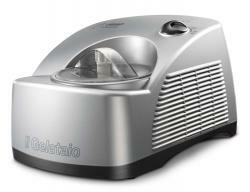 The De’Longhi Gelataio prepares real rich and creamy Italian ice-cream thanks to its advanced cooling system. As in the professional machines, the product has its own cooling freezer mechanism with built in compressor and refrigeration. 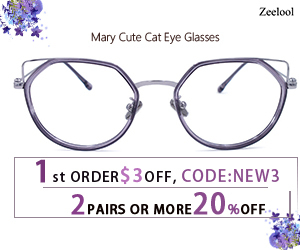 All the basic components are designed to guarantee excellent results and reliability. 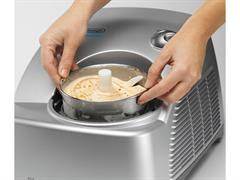 This ice cream maker is perfect for my family. We love ice cream! My kids love it so much. 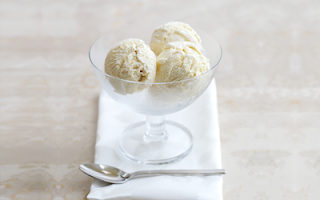 Every occasions, ice cream will never be forgotten, it will always be in the first list. I wanted this and I think I will love it every seconds of my life. I can do all the flavors that I want and my kids preferred to have. It's easy to use, dishwasher safe and it comes with 36 recipes that I am surely going to make! I'm so excited with this ice cream maker. RECIPE BOOK - The product comes with 36 ice cream and sorbet recipes. AQS system: the air quality is constantly screened during the use of the machine, and the lights will change colour depending on bad, moderate or good air quality. 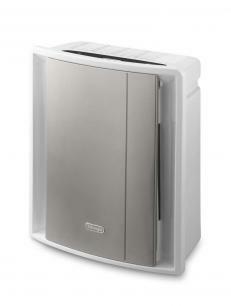 Air Purifier is best to use particularly with babies and kids at home. Since I have kids, they were often getting cough and colds due to polluted air that we breathe in. I really hope to get this one, concerning the future of them. I want us to be free from bacterial, viruses and other triggering allergies. This will be beneficial to all sensitive people most likely to those allergy sufferers and asthmatics. AIR FILTRATION SYSTEM - 5 layers filtering body: anti-dust pre-filter, HEPA filter against the small particles, active carbon filter, NANO SILVER filter for bacteria, and special photo-catalyst filter with UV light. IONIZER - The IONIZER neutralizes the particles of dust, pollen and smoke contained in the air. That's all I want for Christmas from De'Longhi. We can all hope for the best in life. It's always free. Nothing is impossible. Dreams do come true. I believe in that if you want something, do something! Don't just wait and pray, we must always remember to make an action. Like my post? I will be happy to read your thoughts.